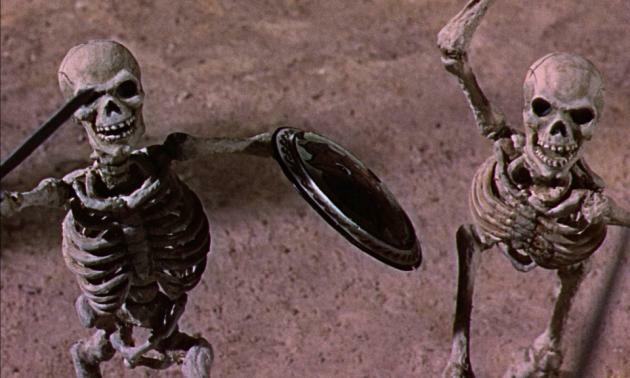 "Ray Harryhausen is known as the godfather of stop motion animation, having worked on classic films such as Jason and the Argonauts, Clash of the Titans and Sinbad. Ray Harryhausen stands as a beacon to today's fantasy filmmakers as the creator who inspired directors such as George Lucas, Peter Jackson and Steven Spielberg. As Ray can no longer attend events, this talk will be given by Tony Dalton, curator of the Ray Harryhausen collection and co–author of Ray's books about his film work. Tony Dalton will be bringing a selection of Ray's models to the talk." "Professor Fletcher's invention of the CellScope, which is a Nokia device with a microscope attachment, was the inspiration for a teeny–tiny film created by Sumo Science at Aardman. It stars a 9mm girl called Dot as she struggles through a microscopic world. All the minuscule detail was shot using CellScope technology and a Nokia N8, with its 12 megapixel camera and Carl Zeiss optics." 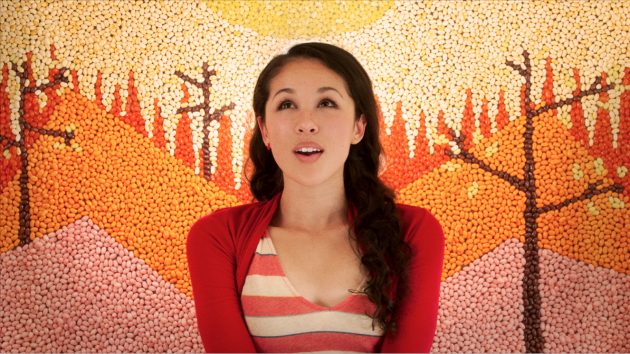 "Greg Jardin directs countless jellybeans for Kinna Grannis' 'In Your Arms' promo." Written by Kina Grannis; Directed by Greg Jardin; Produced by Daphne Raves; Concept Art by Lauren Gregg; Wardrobe by Gillian Zwick; Sound Design by Suzanne Goldish; Production Company: @radical.media; Jelly Bean Animation Team: Kristina Carucci; Lauren Cunningham; MacKenna Dixon; Marcus Demmon; Kevin Harman; Alexandra Judelsohn; Jay Kim; Pearl Lung; Ptolemy Slocum; Erin Thiele; Clarisse Wiedem; Additional Animators: Monica Ahanonu; Matt Beans; Sarah Burt; David Chang; Jane Cohen; John D'Arco; Hope Marquardt; Erin McLaughlin; Krisztianna Ortiz; Kyle Padilla; Allen Marshall Palmer; Natalie Pasallar; JJ Rubin; Cherie Saulter; Susan Wiedem; John Sheptock; Janine Sides; Hethur Suval; Chelsea Stark; Sarah Tejeda; Special thanks to Jelly Belly.